Image: Submitted. 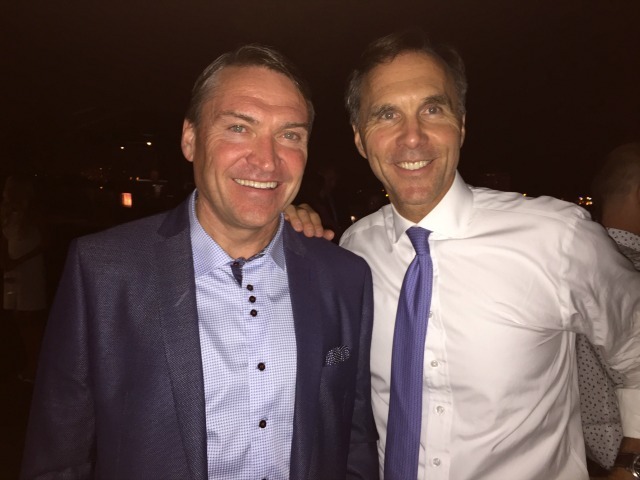 Kelowna Chamber of Commerce president Tom Dyas, left, meets Finance Minister Bill Morneau on Tuesday night in Kelowna. 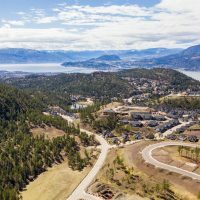 Kelowna’s business leaders say they’re optimistic Prime Minister Justin Trudeau is getting the message that proposed tax changes are happening too quickly and too broadly. 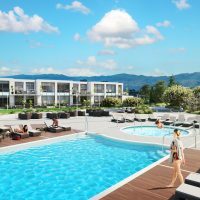 Tom Dyas, the Kelowna Chamber of Commerce president, and executive director Dan Rogers met with the PM and Finance Minister Bill Morneau for roughly half an hour on Tuesday night at Okanagan Centre for Innovation. “From a gut feeling standpoint, I think they’re hearing us,” Dyas said. “We’re hopeful and we’re optimistic that the government is listening,” Rogers added. The chamber executive was part of a small group of business leaders who met with the PM and finance minister during a private reception. Dyas said they had a simple message for the PM when they met Tuesday night. “We understand that there needs to be tax fairness,” Dyas said on Wednesday. “But we need to slow this train down,” he added, suggesting the Liberals are using a sledge hammer to kill an ant. While it was a crowded event, Dyas said they were able to carve out 10 to 15 minutes each with both Morneau and Trudeau. The Liberal caucus is spending two days in Kelowna this week for a party retreat and planning session before Parliament reconvenes this fall. By far the issue that is garnering the most attention is the small-business tax change. The governing Liberals have three main objectives: to eliminate “income sprinkling” between family members, to limit how private corporations invest in stocks or real estate, and to limit how corporations convert income into capital gains. When speaking to Castanet.net on Tuesday, Trudeau said he’s willing to search for middle ground. However, there must be changes, the PM said. “We are always open to better ways to fix that problem, but we are going to fix that problem,” he said. In response, 42 national business organizations have banded together to present a counterpoint. At the very least, Rogers said, the Liberals should extend the 75-day consultation process that’s to end Oct. 2. That consultations started in July—when the tourism and agriculture sectors are in full swing, and when holiday season begins for others—was unfair. The last significant change to Canada’s tax laws required 18 months of discussion, Dyas added. “If you’re going to change that framework, you need time,” Rogers said.